We are looking for talented individuals who have recently graduated or have some work experience and who have an active interest in global treasury, finance and financial technology transformation. Zanders serves as a trusted adviser to many large multi-national corporations around the world. 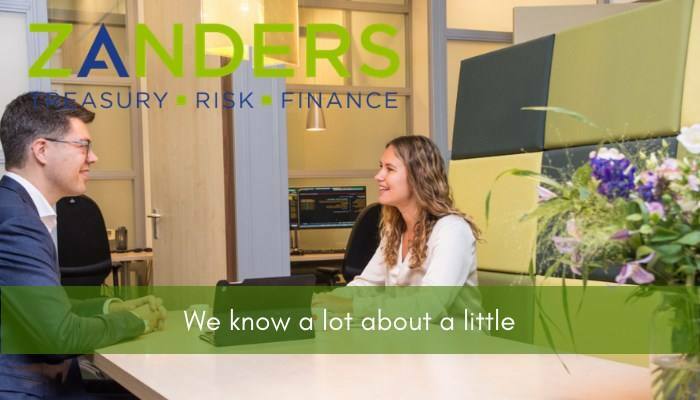 Zanders has established itself as a recognized specialist in treasury management, risk management and corporate finance. Due to our successful growth and large number of client engagements, we are recruiting a talented consultant to join our Corporate Treasury Technology team. We are looking for talented individuals who have recently graduated or have some work experience and who have an active interest in global treasury, finance and financial technology transformation. You will be drawn to a profession in consulting which involves resolving challenges, interesting projects, teamwork and travel. And above all – FUN. Many social events such as our annual Zanders away weekend to a surprise location! Please send your application for Consultant (Graduate): Treasury Technology at Zanders in Londen including your CV via our website.